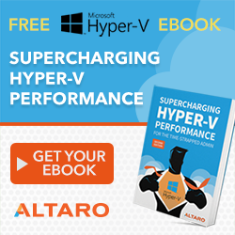 I’ll be joining fellow Cloud and Datacenter Management (Hyper-V) MVP Andy Syrewicze for a webcast by Altaro on June 14th at 3PM UK/Irish time, 4PM CET, and 10AM Eastern. 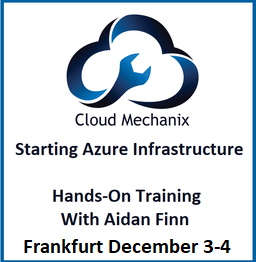 The topic: What’s new in Windows Server 2016 Hyper-V (and related technologies). There’s quite a bit to cover in this new OS that we expect to be release during Microsoft Ignite 2015. I hope to see you there! Small typo, I am pretty sure you meant “during Microsoft Ignite 2016” not 2015. May not be able to make it live, hoping to be able to catch recording.